We collected the majority of metadata history records for Dbcic.org. Dbcic has a poor description which rather negatively influences the efficiency of search engines index and hence worsens positions of the domain. Dbcic has neither keywords, nor description at the moment. But the domain used to have both of them in April 26, 2013. 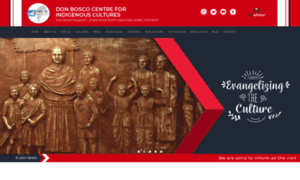 Don Bosco Centre for Indigenous Cultures | Don Bosco Museum - Experience North East India Under One Roof!